Brad has been managing the ASEAN Business Unit since January 2016. Prior to managing the ASEAN BU, he was heading MEO’s Australasia Business Unit for five years. 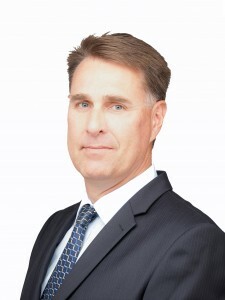 He has 19 years’ experience in various management roles within the offshore oil & gas industry, previously working with Schlumberger and Transocean (via Schlumberger offshore drilling contractor business spin-off and merger with Transocean). He worked in various country and regional offices for these previous employer companies supporting operations throughout Asia & Pacific, Africa, Russia, Caspian and Mediterranean.Prior to this period he worked for 6 years’ in Chartered Accounting public practice within Western Australia. Brad is an Associate Chartered Accountant with the Chartered Accountants Australia & New Zealand and was admitted as a Registered Tax Agent in Australia. He also holds a Bachelor of Business Degree (double major Accounting & Finance) from Edith Cowan University in Western Australia.